Getting ready to photograph Stephanie's Sweet 16 tomorrow. 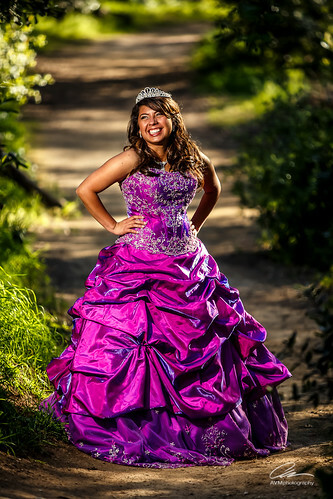 Whether its a wedding, quince, debut, or portraits, it's never the same and they each have their own adventure. Capturing these wonderful moments really makes me appreciate life even more. I never get tired of it! Have I mentioned before that I love my job? Shot with a Canon EOS 5D MkIII with a 70 - 200 f2.8L IS and Singh Ray Vari-ND filter attached. Settings: Manual exposure 1/60 sec, 200mm @ f2.8, ISO 100. Lighting: 1 580EXII with 1/4 CTO gel set manually @ 1/8 power inside medium softbox and set just out of frame and to the left. Sun was slightly behind and to the right of Stephanie. Triggered with PWIIs.